You’ve got that closet, right? The one that is weirdly shaped, super small, or just a pain to keep organized. We have one of those storage closets right off our kitchen under the stairs. It’s narrow, deep, and has a sloped ceiling in the back…and it had turned into a huge dumping ground. 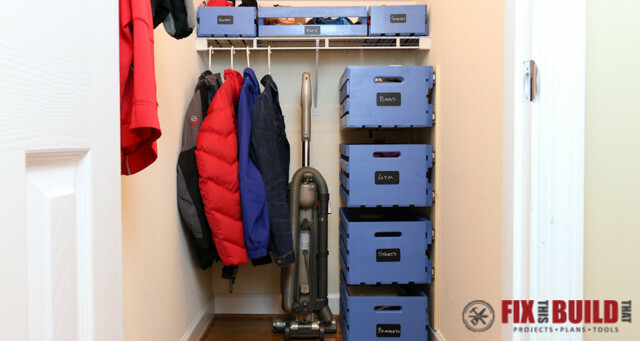 I needed a closet storage solution that would take advantage of the depth, give us some hanging space, and keep the small stuff organized. 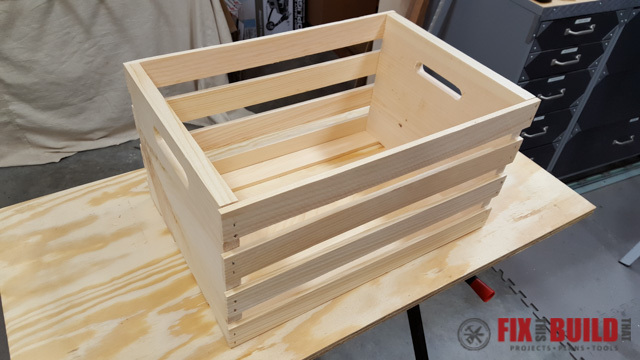 When CratesandPallet.com asked me to come up with a storage ides, the lightbulb went off in my head…Floating Wood Crate Storage! First we had to clear the clutter! We did a massive clean out of all the junk that shouldn’t be in there. A bazzilion reusable grocery bags…gone. Mismatched gloves…gone. Small army of dust bunnies…gone. Then we were ready to organize! 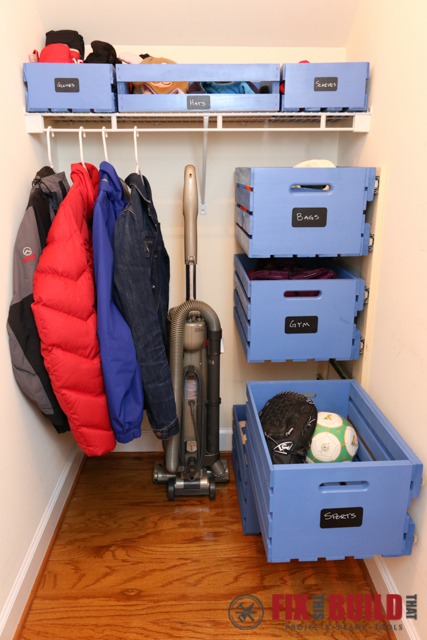 I used a combination of small and half crates on the existing wire shelves to store the little things. Then I mounted large pallet crates to the wall using full extension drawer slides so they have a small footprint but are easily accessible. Boom, floating crate storage! Check out the full video below and please subscribe to my YouTube channel! This is what the closet looked like beforehand. Yikes! 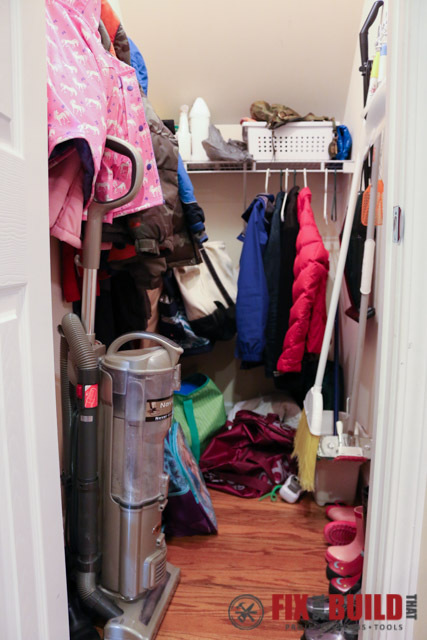 We had way too much junk piled in the closet, so the first thing to do was to take it all out and start fresh. After we did this we decided that we really only needed half the hanging space in the back of the closet. This was perfect because now we had a great spot for the large crates. 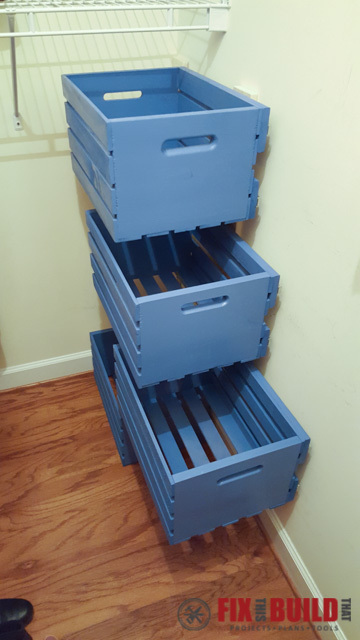 I stacked them up and figured out the space would allow for 4 large crates to be used under the wire shelf. 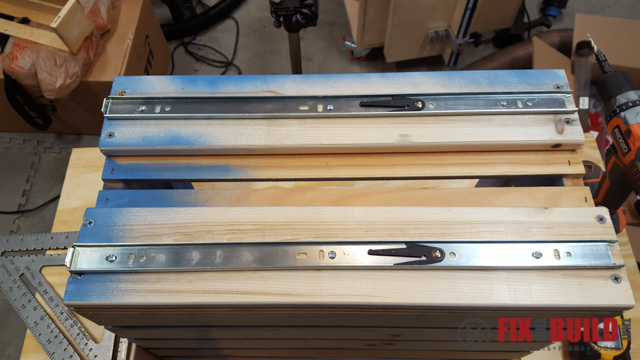 To prepare the large crates for mounting I reinforced the sides with 2 sections of 1×4 furring strip. This gave me something substantial to mount the drawer slides to the crate. 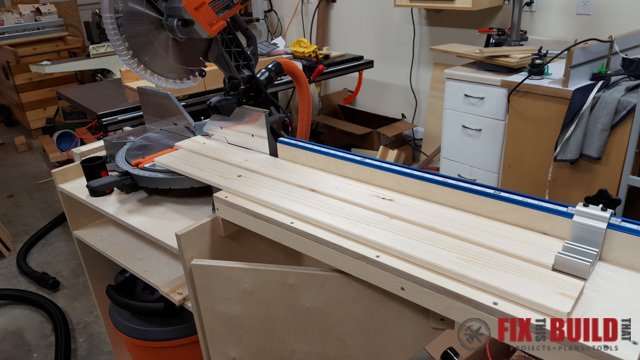 I cut 2 18″ pieces for each crate on my miter saw. 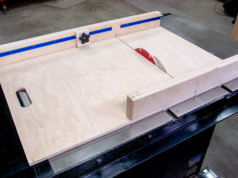 The Mobile Miter Saw Station I built really comes in handy! 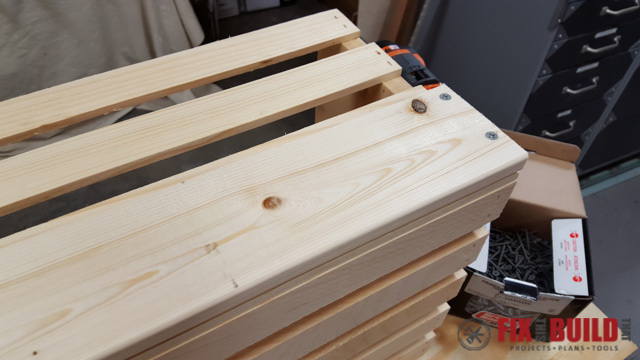 I laid out the 1×4 strips on the large crate and used 1-5/8″ screws to attach them flush with the top and bottom of the right side of the crate. I repeated this for all 4 crates. At this point I took all the crates outside to spray paint them. Before spray painting I sanded all the edges smooth with 150 grit sandpaper. I gave them 2 coats of blue spray paint except on the right side which would be against the wall. While they were drying I cut a spacer board to help with the drawer slide install. 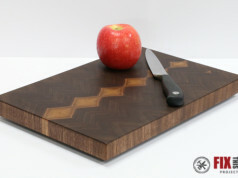 I took a scrap of 1/4″ plywood and cut it to 18″ by 6″. 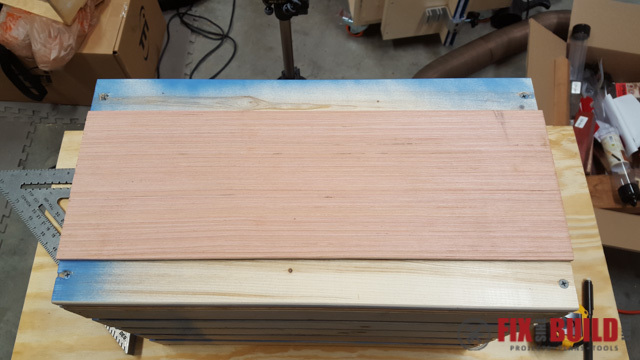 I used the spacer to layout the center lines for the drawer slides on each crate. This would make sure the slides were equally spaced and more importantly, parallel. 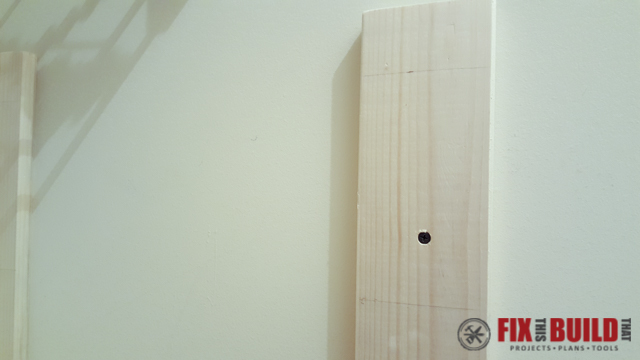 I centered the spacer 1-1/2″ from the top of the crate and drew a line on each furring strip. 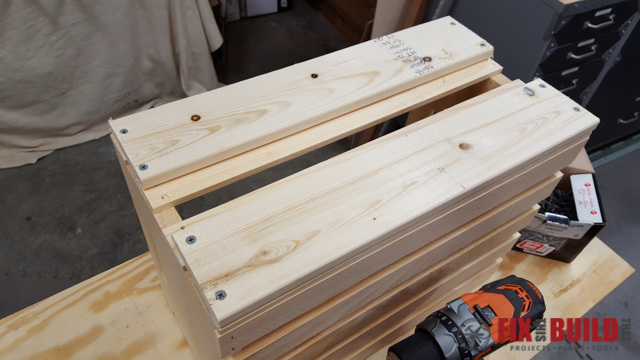 I disassembled the slides into it’s two parts and used the extension piece for the crates. I lined them up flush with the front of the crate and centered the mounting holes on the reference lines. 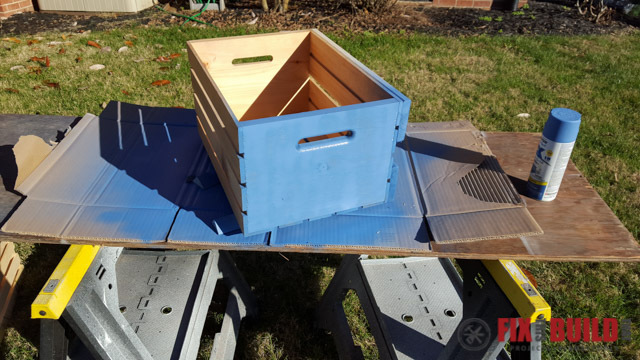 A few quick pilot holes and screws and the crates had their slides. 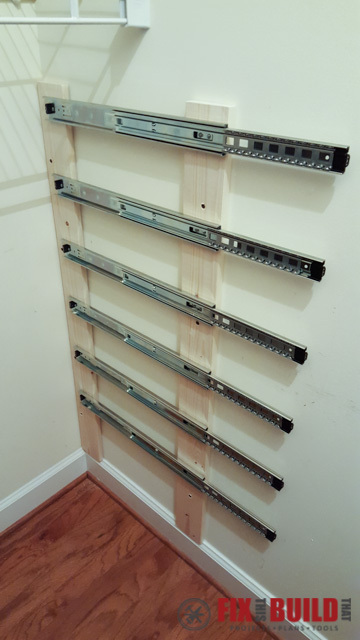 Now that the crates were ready I moved back to the closet to install the mounting strips and slides. 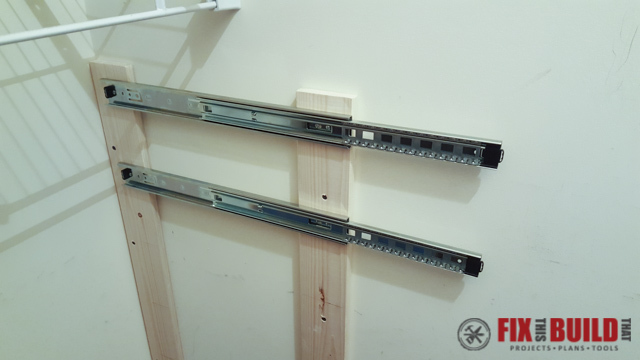 I cut 2 more pieces of 1×4 furring strip to 39-1/2″. 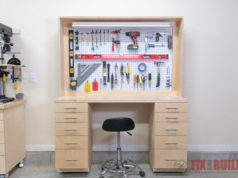 I mounted one in the back corner into the corner stud. 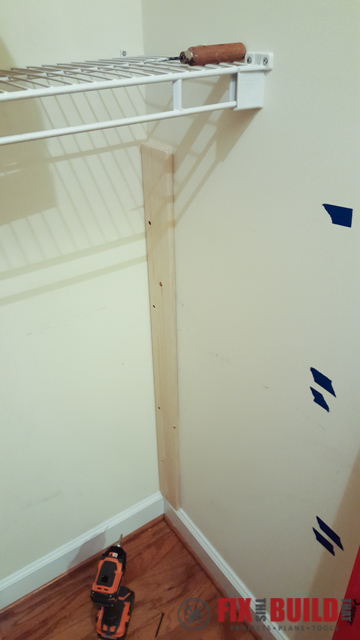 The next strip was mounted so it ended 18-3/4″ from the back wall (the extra 3/4″ was to account for the base moulding). 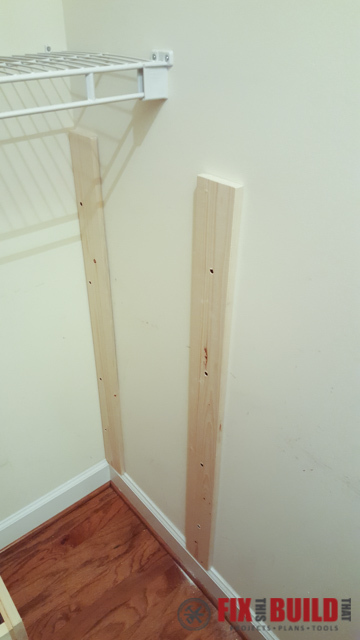 I couldn’t hit a stud here, so I used 4 drywall anchors to hold the strip. 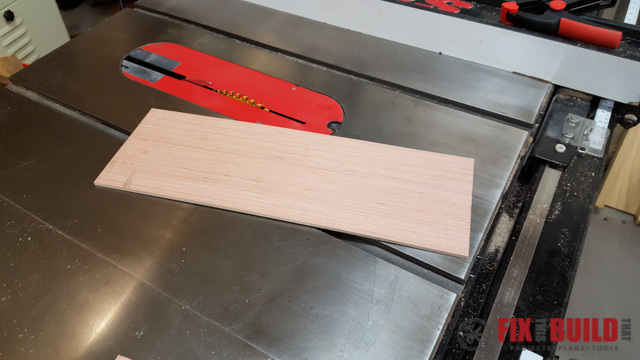 Now here is where that 1/4″ plywood spacer really comes in handy. 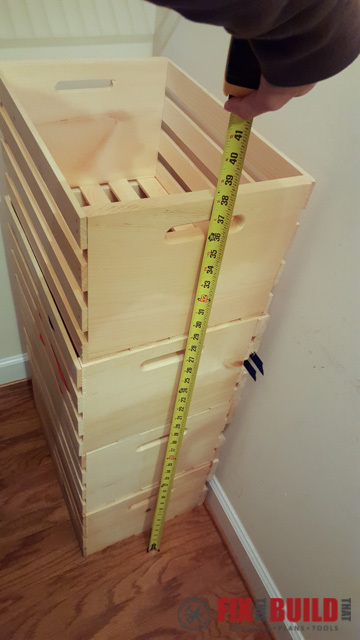 I sized the furring strips to be flush with the top of the top crate and then have 3″ of spacing between each crate all the way down. 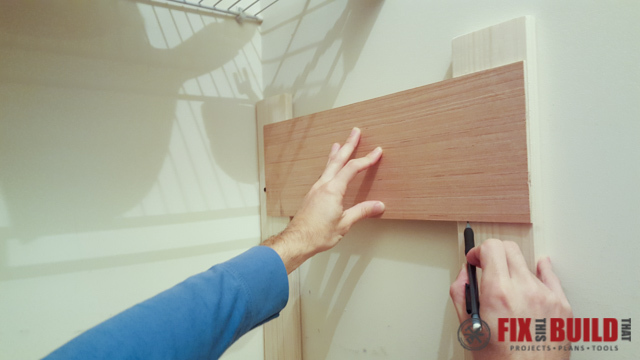 So all I needed to do was measure down 1-1/2″ from the top and set the spacer flush with the front of furring strip. Then I struck lines on each side of the spacer. Now all I had to do was align the slides with the front of the furring strip and the mounting holes on the center lines like before. Attach the slides with the included screws. I repeated this all the way down and had all my slides mounted. Now the only thing left to was install the crates onto the slides. At that point we labeled all the crates with chalkboard tags and then started strategically putting things back in them. As you can see we ended up with far far less in the closet than when we started. I guess that’s what clearing the clutter is all about! 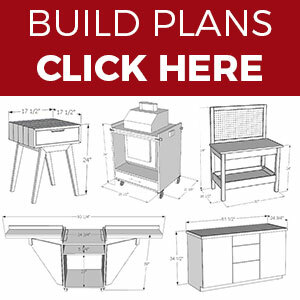 Go visit my Projects page for other great projects to build! Crates and Pallet provided me with tools and/or monetary compensation as a sponsor of this build. All opinions are my own and are not filtered by the sponsor.